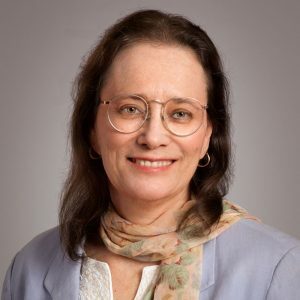 I started out as an author with no list, but soon I realized that I needed to connect more with my readers so I started an email newsletter. I grew several lists to a total of over 25,000 people and they are the life-blood of my business. Your subscribers are the life-blood of YOUR business, too! Over the years, I had some successes and some failures and I learned what works and what doesn't. I also learned that earning money from your subscribers is a system, not a task. create a free offer but not tell you how to get traffic to it? send out email offers but not tell you how to get subscribers? get traffic to your offer but not tell you how to turn that traffic into a profitable business? Later on I'll give you 3 reasons why growing your list — and profiting from it — is the easiest and quickest way to increase your income. Better than doing webinars (which I love to do and bring me a great income). Better than social media. Better than ads — and a lot cheaper! Did you create a free offer but few people signed up for it? 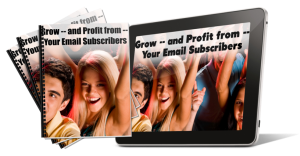 Grow — and Profit from — Your Email Subscribers will give you everything you need to know about growing your email list and marketing to your subscribers—ethically and legally! including topics not covered elsewhere. Part 1 — THE FREE OFFER: This is the starting point for your business. Part 1 covers how to make your free offer irresistible, valuable—and legal. And how to track your conversion rate so you get the most subscribers. Part 2 — PROMOTION: You need to get people to see your free offer—or it's useless. Part 2 covers the 5 ways to get traffic to your free offer. Part 3 — EMAIL MARKETING: Too many online business owners fall short when it comes to sending out emails that build trust AND convert. Part 3 covers the various techniques for sending out emails that develop a responsive list of subscribers. This course is full of specific resources and suggestions to get you started — and finished — with ease. Get a funnel checklist, a webinar planner, and more! Bonus training videos add loads of value! Isn't It Time to Stop Being a Secret? To Stop Struggling to Sell to a Few People? Grow — and Profit from — Your Subscribers walks you through the step-by-step process you need to follow to reach people all over the world who want what you have to offer! 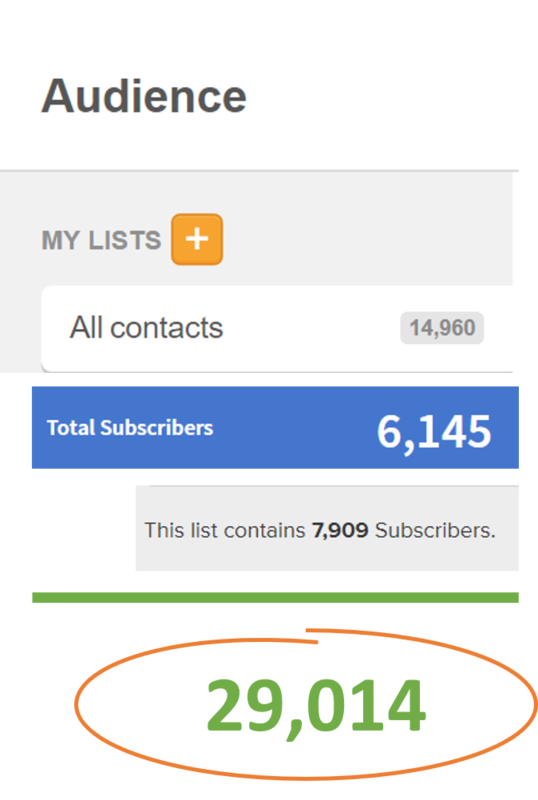 When I started sending out a newsletter, I had NO list. That was around 2002. Slowly, I grew my list by attracting people to my website with strong SEO and content. It was slow but sure. Later, I learned other methods of growing my list much faster, like partnering, giving webinars, creating summits, and doing giveaways. I also used social media and Facebook ads. In a few cases, I grew my list by over 500 people in a week or two! I want to show you all the methods I've used that have worked and help you evaluate which will work for you! Think of Grow and Profit from Your Subscribers as more of a workshop. You need to finish Part 1 before going on to Part 2 and finish Part 2 before going on to Part 3. 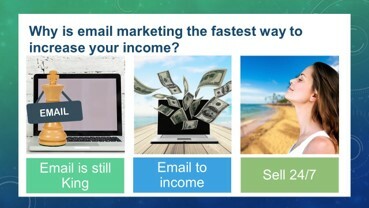 You will be able to create a free offer that is part of a funnel, promote it to get the right subscribers, and make regular offers via email with the thorough and step-by-step training I have included in Grow — and Profit from — Your Email Subscribers. 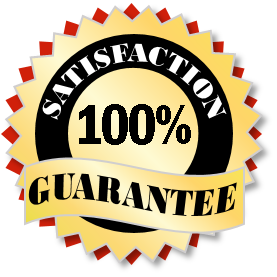 If you aren’t satisfied, let me know why within 30 days from purchase and we’ll refund your money. There’s no risk to try this product and you have a LOT to gain. For less than the price of a new outfit or suit of clothes, you can invest in a program that will bring you financial benefit for years to come — and open up an outpouring of knowledge from you to the world. Isn't it worth it to learn as much as you possibly can in order reach more people, have greater impact, and increase your income? I told you I would explain 3 reasons why growing your list — and profiting from it — is the easiest and quickest way to increase your income. I mentioned that you'll get follow-up emails to give you more details and keep you on track. But I want to support you all the way. So during the 3 months after you buy the course, you can reply to any email and ask a question -- and I'll answer. Maybe there's something you don't understand. Maybe you're stuck on a decision. Whatever it is, I'll help you. I've got your back to help you create your free offer, promote it to gain subscribers, and send out offers to them. Have a discount coupon? You can enter it on the next page. When you purchase this course, you'll also get a free subscription to the Change the World Marketing newsletter, with the Daily Hot Tip and resources valuable to online entrepreneurs who want to extend their reach, expand their impact, and increase their income.